FOLDING FORWARD is one of often practiced Qigong exercises for releasing the spine and for maintaining it flexible. 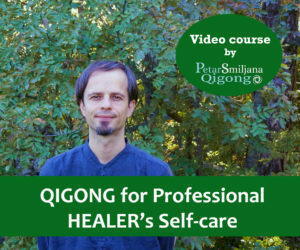 A smooth and abundant Qi flow through our spine and torso is according to the Qigong theory essential for the health of our body, mind and spirit. Tensions arise in our body every day and we have to know how to release them efficiently, especially in the area of our spine and torso, if we want to stay healthy and creative. The key words for you should be “gently and softly”. You should follow the rule of 70 percent, so you will not overstretch or injure yourself. This means that you do everything with only 70 percent of your current capacity or ability. If you feel pain you are far above your current limits, so reduce the range of motion and find your comfortable zone. You are the one who has to take care of yourself. Don’t repeat blindly, listen to yourself. You are not competing, not even with yourself. You try to create harmony in your body and mind. Start to fold forward imagining that the gravity is pulling you down. You roll down toward the Earth one vertebra at the time. You start with the neck vertebrae. Your knees are lightly bent. 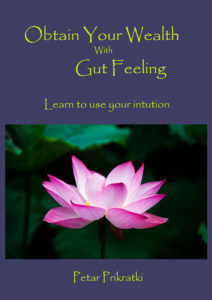 Listen to your body and go down into a fold only as much as you feel comfortable. You don’t have to touch the ground. Instead the ground put them on your calves or thighs. When you are in a deep fold touch the ground with the palms (or if you can’t put the hands on your calves or thighs). Slightly stretch back leg muscles. Release tensions there and in the lower part of the back. Then bend knees slightly again and start rolling up. This time you start from the lumbar area upward to the neck. One vertebra at the time. And then folding forward again. Release your spine, neck, head, shoulders, arms. Let all the tensions drop down into the Earth. Your breathing is calm and relaxed. When you are returning to the upright position your Baihui point (the crown of the head) is lifting up and you can feel how the spine is gently lengthening up and open. This exercise is great to release the spine and the nervous system. Repeat it at least three times but if you have time do more repetitions. This 15-20 minutes Spinal Qigong includes some warm up exercises, stretching exercises for torso and spine and some gentle exercises from different Qigong practices to release the spine and stimulate energy flow. It includes a video with explanation of exercises and a video with the whole sequence which can help you at the beginning stage of practice. The information provided in this video should not be used for treating a health problem or disease. It is not a substitute for professional care. If you have any health issue, especially with the spine, please consult appropriate health professionals before you start any of these exercises. We recommend the same to the people who have been inactive for a long time and who are considerably overweight. Next Post:How long do you practice your Gong?